WASHINGTON -- The U.S. government has charged four cancer charities with misusing more than $187 million in donations, with two agreeing to be dissolved and two fighting the allegations, the Federal Trade Commission said Tuesday. The FTC, 50 states and the District of Columbia charged the Cancer Fund of America, Cancer Support Services Inc., the Children's Cancer Fund of America and the Breast Cancer Society Inc. with collecting millions of dollars in donations but doing little to help patients. The Children's Cancer Fund of America and Breast Cancer Society Inc agreed to shut down. Three officials agreed to be banned from charitable fundraising. In a note on the Breast Cancer Society's website, Executive Director James Reynolds II, who has agreed to leave fundraising said the organization wanted to avoid an "expensive and distracting legal battle." The Cancer Fund of America opted to fight the government in court, as did the related Cancer Support Services organization and its president, James Reynolds Sr. The Center for Investigative Reporting put the Cancer Fund of America second on its America's Worst Charities list. Based on data from December, it said the group raised $86.8 million for charity but gave just 1 percent of that to cancer patients. The Children's Cancer Fund of America ranked No. 9. 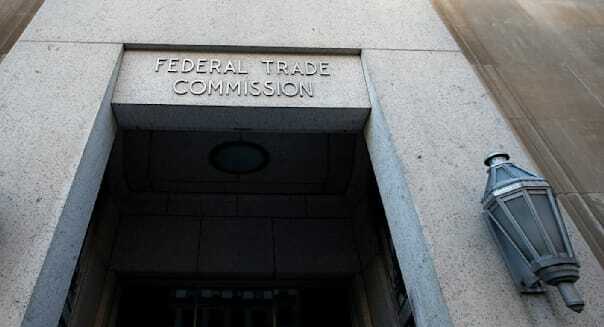 The FTC said in its complaint that the organizations portrayed themselves as legitimate charities to raise money from telemarketing calls and from the Combined Federal Campaign, which collects from U.S. government employees. Instead, the complaint said, the groups "operated as personal fiefdoms characterized by rampant nepotism, flagrant conflicts of interest, and excessive insider compensation, with none of the financial and governance controls that any bona fide charity would have adopted." Some of the money was used for Las Vegas, New York and Disney World trips; vehicles; gym memberships; Jet Ski outings; dating website subscriptions; and cruises, the complaint said. Professional fundraisers that the organizations hired sometimes kept 85 percent of what they collected, the FTC said. It said the organizations inflated their revenues to hide their misuse of donations. The FTC said it had proposed judgments of $65 million against the Breast Cancer Society and $30 million against the Children's Cancer Fund of America, which is what they collected from 2008 to 2012. "The money is mostly gone," said Jessica Rich, director of the FTC's Bureau of Consumer Protection. The FTC has collected about $1 million, she added.